YOUR JOURNEY TO MISS AMERICA STARTS HERE! You have been selected to be invited to attend the Miss Milwaukee Organization Workshops for 2010-2011, The Miss Milwaukee Organization has had local title holders that have moved on to great success. AGES 17-24 for "Miss" contestants 13-17 for "Teen" contestants and 9-12 for "Junior" contestants in addition to "Princess" contestants 5-8 can attend one or more of these free meeting to get inside information and tips from directors and former titleholders about competing for the 2 Miss Milwaukee Organization Titles. Because you were selected, we know you have what it takes!!! At the meeting you can also officially register in person for a spot in the competition. Parents and friends are invited!! Email for more details or questions. Take Howard Ave. Exit on I94 either direction to or from Milwaukee. Go East until Howard Ave. ends at Lake Drive. Proceed North(left) on Lake Drive go about ½ mile until you see the Marion Center on your left. (It will be past the Cousin's Center) Enter 1st driveway before the Main circle drive (if you hit Oklahoma Ave. you are too far) You will see parking on your left and a "u" cove on your right, do not park in the driveway, use the lot on your left. The entrance door is marked and is just off the driveway; go to the third floor and take a left and walk down the corridor to the auditorium. to email back if you are interested in participating to reserve your spot by ASAP. NOTE: you can enter both pageants or just one pageant, however you can choose to attend your workshops anytime that it is convenient for you. All contestants are to attend a MANDITORY "in person" meeting to reserve your space, review requirements, take your photo, and meet pageant Directors. The schedule IS LISTED ABOVE AND BELOW. Parents are invited also. The Miss Milwaukee, and Miss Southern Wisconsin Outstanding Teen Pageants are official Miss America Preliminary Pageants that qualify the winners to participate in Miss Wisconsin held in June 2011. 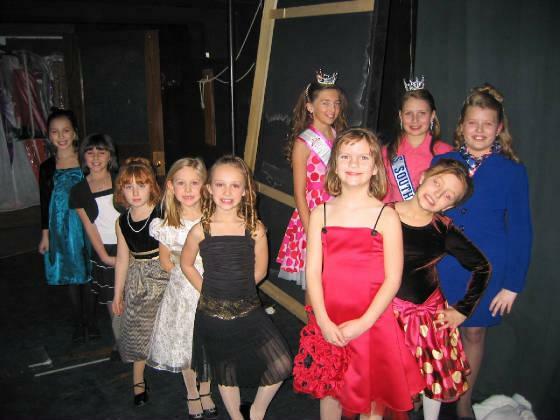 All coordinators, assistants, helpers and entertainers with these pageants are volunteers. What is the talent presentation you are thinking of presenting for the pageant? Let us know what kind of talent such as dance, sing, etc. 1. Are you an American Citizen? 2. What Grade in School are you? 3. What school do you attend? 5. What are your parent's names and address? Never hesitate to ask questions. We are not only Directors but we were participants. email us or contact us through our Miss Milwaukee Organization page on Facebook. ALL CONTESTANTS RECEIVE TIARA AND PRIZES!! Sales go toward promotion award. Each division winner: crown, banner, embroidered jacket, gifts, flowers. CD must be provided ahead. PAY FEES WITH PROGRAM BOOK ADS! Contestants asked to donate a basket valued at $20.00 for our auction. Not mandatory. Formal Wear: include items about yourself, family, school, activities and sponsors. Questions will be in a fish bowl during formal wear. Juniors will receive questions before the pageant. Each contestant will be allowed one person to help them backstage. Badges will be given out for this purpose. Outstanding Teens will randomly pick numbers. See below for Junior. Outstanding Teen is a separate sheet with National guidelines. Junior contestants will receive all their scores after pageant. Party Dress/Cocktail Dress Modeling: 40%- (t- modeling) impression, age appropriate attire, attractiveness, sense of confidence, carriage, naturalness, poise, posture, gracefulness, and personality projection. On Stage Question: 20% Response to question, on stage personality, ability to communicate, vocal quality. Optional Talent - entertainment value, appearance, projection and use of stage, wardrobe or costume -value to performance - special award presented to winner.